South Africa’s planned migration to digital terrestrial television has been postponed to late 2013, while broadcasters and the Department of Communication are still haggling over details around its implementation. KHADIJA PATEL delved into the history, the spin, the litigation and the outraged commentary to find out how this project has evolved. Remember when a Minister of Communication promised South Africans digital television for the 2010 Fifa World Cup? Alas, we’ve had three ministers of communication since, the most recent one conspicuous in her red-soled Christian Louboutins. The World Cup in 2010 has come and gone and still there has been no implementation of the plan to switch South Africans over to digital terrestrial television. That process to switch South Africa’s ageing analogue broadcast infrastructure to digital can be traced back to August 2008, when Ivy Matsepe-Casaburri gazetted the Digital Broadcasting Migration Policy in Parliament. The original plan was to make the switch from the analogue to digital signal by 2008. After receiving the requisite approval from government, the Department of Communication, under its various leaderships since 2008, has been working at implementation. The deadline, meanwhile, has shifted several times. Furthermore, the explanation continues, South Africa also coordinates its frequency plans with other countries to ensure that there is no interference between various countries’ broadcasting signals. Currently, analogue broadcasting is protected from interference, but this protection will stop by 2015 – so it is necessary to complete the migration from analogue to digital by 2015. The digital terrestrial broadcasting signal has already gone live on State-owned Sentech networks, but it is still not commercially available. The Department of Communication is confident that the migration will be completed successfully before the end of 2013. “It is looking promising for later this year,” Siya Qoza, spokesperson for the department, told Daily Maverick. While the deadline for South Africa’s analogue switch-off had originally been planned for November 2011, the Department’s soft launch in the Northern Cape last October was meant to be followed by a nationwide commercial launch last December. This was delayed owing to a legal dispute between the Department and e.tv over the Set Top Box conditional access (CA) system, which is a legal requirement in the Broadcast Digital Migration Policy of 2010. Sentech, which was instructed by minister Pule in May last year to manage the CA system, has proposed Nagravision as the vendor. TechCentral explains that Sentech already uses Nagravision to manage some of its satellite services. The Sunday Times, however, has found links between Nagravision and Minister Pule’s romantic partner, Phosane Mngqibisa. e.tv has argued that it and the SABC, along with future free-to-air broadcasters, should administer the CA system because they have the most to lose if it is not done correctly. While e.tv successfully sued the minister in the High Court last year, Pule has withdrawn her appeal against the judgement and has agreed to broadcasters controlling the conditional access system, subject to the authority of industry regulator Icasa. “The broadcasters have indicated that they’ll be in a position to advise the Department of their decision during March 2013,” the statement says. Once the SABC and e.tv do make their decision, explains Qoza, it will pave the way for the Department of Communications to award contracts to Set Top Box manufacturers within months. “The decision to seek finality on a vendor for the conditional access system is in line with the other decisions that Minister Pule has taken since taking office, towards ensuring that South Africa meets the June 2015 deadline to migrate the broadcasting signal from analogue to a digital platform,” the Department of Communications said in a statement on Sunday. Other officials are not so sure. According to a story in Rapport last month, South Africa is likely to miss the 2015 deadline to convert its analogue broadcasting signal to digital. The delay will mean that analogue television will use up bandwidth which is necessary for faster Internet. “There is not enough time left. All we can do now is to extend the cut-off date,” assistant director for information and communications technology, Themba Phiri, told the newspaper. The International Telecommunication Union (ITU) has said that after June 2015, countries will no longer be protected against disruptions of the radio waves that are used for analogue television broadcasts. This lack of certainty around encryption and access control mechanisms is not the only bugbear of this project. There is still some confusion about how five million set-top boxes will be subsidised for poorer households. Together, these issues are likely to throw already long-delayed, multibillion-rand project even further off track. 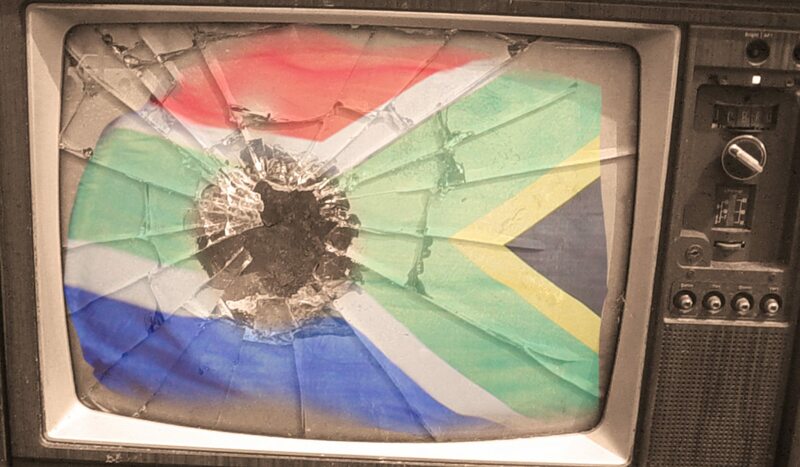 “This process is many years behind schedule, and has made South Africa the laughing stock of the continent, as the country gets passed by country after country switching to digital broadcasting as South Africa remains mired in litigation, delays, constantly changing regulations, a government not properly spearheading the switch-over and industry infighting,” one blogger wrote recently. Marian Shinn, the DA’s shadow minister of communications, has been particularly scathing in her criticism of Pule’s failure to implement the migration from analogue to digital. In a statement on Sunday she listed the “timely migration from analogue to digital television”, among the projects Pule has failed to bring to fruition.